How do you handle failure? Are you creative? How do you best show your knowledge? Are you a problem identifier or problem solver? How comfortable are you expressing your ideas with others? 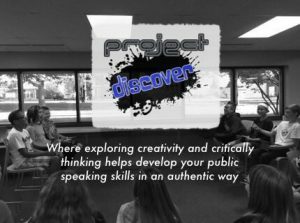 All of these questions drive Project Discover. The course provides a variety of experiences which allow students to uncover their unique creativity, personal passions, gain confidence speaking and sharing their thoughts, and develop the grit necessary to thrive today – regardless of their individual path. Students will discover what drives them, identify problems related and become part of the solution! They will give a TEDx-style talk at the end of the semester where they demonstrate enormous growth and confidence. How do we prepare for a future full of unknowns? 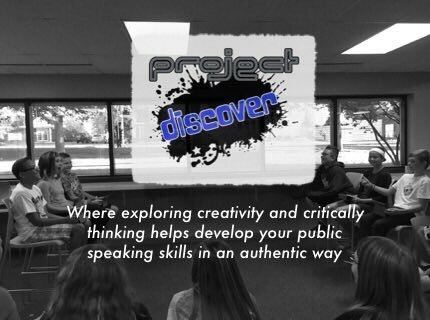 Help students gain authentic, relevant lifelong skills through Project Discover. Hear straight from a recent Project Discover student, Ava Riley, on her experience and watch her amazing TED Talk here.